Artist Music is happy to announce that we are starting a keyboard centered music class to introduce young beginners to music. The curriculum uses the “Music for Little Mozarts” books. You can get more information about the curriculum at www.musicforlittlemozarts.com. There are many links to good articles about this well thought out course of study and the benefits of music study for young beginners. There is also an exciting technology component for those that own an iPad. 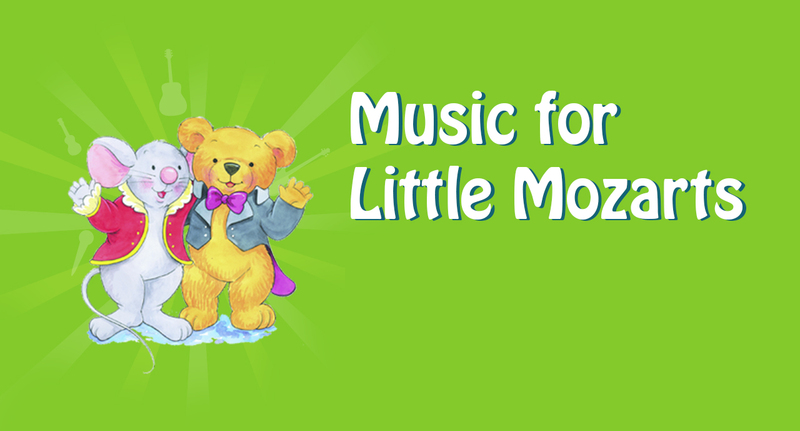 “Music for Little Mozarts” books are included in the “Piano Maestro” app. The classes are open to children from ages 4 to 6, and children must have a piano or a four-octave keyboard with full size keys (contact Artist Music if you need a keyboard or rental unit) for daily practice. If you are interested in finding out more, please call 410-833-1895. Keyboard Geography – learn to navigate the piano keyboard. Keyboard Study - develops hand-eye coordination. Ear Training - develops aural awareness and sensitivity to sound and pitch. Creative Movement - develops coordination and rhythm awareness. Singing - encourages expression through song. Musical Notation - strengthens focus and concentration via reading skills. Creative Ensembles - stimulating group activities fostering emerging skills. Since 1978, more than 2 million families have enjoyed singing and dancing in Kindermusik classes in over 70 countries worldwide—and now they can join the fun at Artist Music of Perry Hall/White Marsh too! At Kindermusik with Miss Debbie, we delight each week in singing, dancing, playing instruments, and exploring creative movement. We also have story times and other activities to help children and their families discover ways that music can enrich their lives and lay the foundation for a life of learning. Research from the top experts shows that music does more for children than bring them joy; it also helps their brain make the connections needed for virtually every kind of intelligence. The Kindermusik curriculum, built upon this research, has been proven to stimulate every area of a child’s development: intellectual, verbal, physical, artistic, and social-emotional. Ninety-nine percent of Kindermusik parents say they would heartily recommend our program: Come take a free class and join in the fun!